Thomas O’Brien is a professional photographer. He spent 8 hours inside a volcano with a scientific expedition team. In addition to his regular equipment, he also took with him the Samsung Gear 360 (reviewed here) and a Ricoh Theta S (reviewed here). 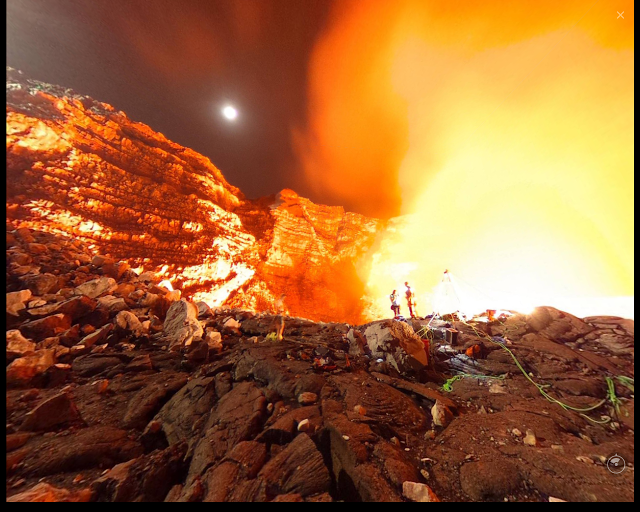 Thomas shared an amazing 360 photo of the inside of a volcano, captured by the Ricoh Theta. I’m hoping Thomas will also post samples from the Gear 360!